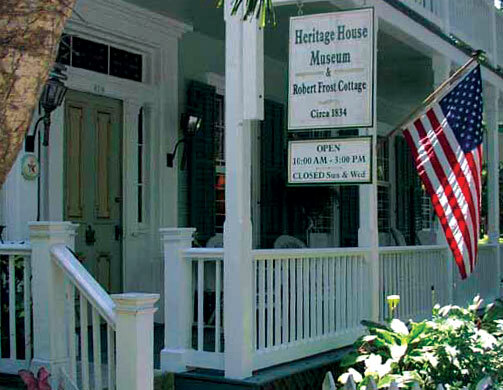 This season the Key West Heritage House presents a series of cultural offerings that bring to light the memorable years of the Great Depression through art, lectures, walking tours and the premiere of an oral history film documentary. The series opens with â€œWPA Artists: Inspired by the Depression,â€ a special exhibit of recently restored Depression-era works created by WPA artists, as well as other local artists of the time. Collected by the late Jessie Porter during the 1930s, and recently restored, this historically significant exhibit includes original, signed works by artists both known and undiscovered. From architectural studies, to maritime depictions, the exhibit places Key West in a crucial point in time that was to forever affect the islands destiny. Through these works, the artists, many of whom studied or taught at the Key West Community Art Center, have left their creative imprint for the enjoyment of generations to follow. The exhibit opens to the public at 6 p.m. Friday, Nov. 14, followed by a 7:30 p.m. presentation by distinguished Key West historian Tom Hambright. Sharing his knowledge of the era, Hambright will bring to light the hardships of the Depression specific to the Keys, as well as the changes that took place when the Roosevelt Administrationâ€™s New Deal put islanders back to work, while encouraging artistic endeavors of every discipline. A reception will follow Hambright's presentation in the garden. A limited number of reproductions of selected works will be available for sale. Suggested donation for the event is $10 at the door. On Nov. 15, the Heritage House will launch the â€œKey West WPA Walking Tour,â€ the first in a series of tours to be offered every second Saturday through February. 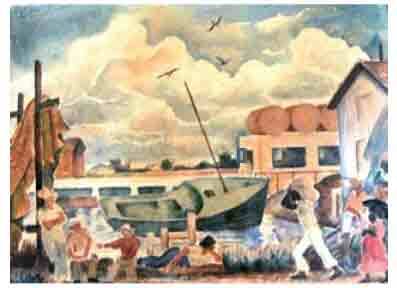 Lead by local history guides, the walking tour will lead participants on a journey through Old Town Key West to discover the works of WPA artists and the stories behind the art. The tours will commence at 10 a.m. on Saturdays, Nov. 15, Dec. 13, Jan. 10 and Feb 14 at Key West Heritage House, 410 Caroline St. The cost is $20. Tickets will be sold the morning of each tour. This series of events has been made possible by funding from the Monroe County Tourist Development Council (TDC); the Porter Family; filmmaker Marcela Morgan; and an anonymous donor who funded the restoration of the WPA collection.